Laurel Aitken is undisputedly one of Jamaica's 'Folk Heroes'. His immense creativity for the development of the original, typical music of the Island, i.e. Ska and Reggae, and its spreading in England and Europe is reflected in countless singles and albums that led to big hits within and outside of the dedicated scenes. The now 75 year old performer's life achievement brought him fame as both 'Godfather Of Ska' and 'High Priest Of Reggae'. 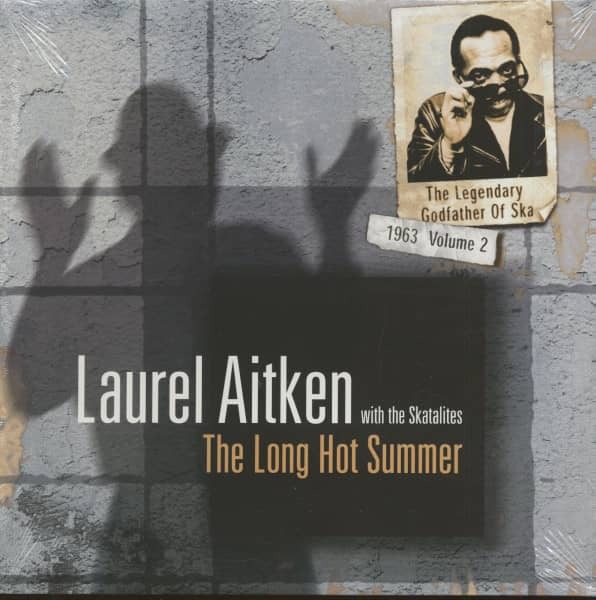 While the first volume of this series (GRO-CD /LP 022 Laurel Aitken: The Pama Years) focused mainly on the Reggae-side of the singer, songwriter and producer, The Long Hot Summer proves his well earned title as 'Ska-Padrino'. In 1963, Laurel Aitken (who had been living in the UK for some three years) decided to pay a month's visit to Jamaica, the place where he started it all. He got in touch with a friend of his, bass player Lloyd Brevette from the Skatalites, and a little later, they had fixed a studio session with the entire band comprising all the top notch musicians such as Tommy McCook, Lloyd Knibbs, Gladstone Anderson, Roland Alphonso and the rest. The recording took place at Ken Khouri's Federal Studio, the spot were nearly all of Leslie Kong's »Beverly's«- sessions with the Skatlites were held at that time. It took them only two days to lay down more than a dozen brand new songs, including mix-down! But the most remarkable thing was that the Godfather, against the common policy of these days, paid for everything himself and even bought the master tapes, in order that nobody was tempted to cut bootlegs out of his original material. Back in London, Laurel cut a whole lot of acetates and gave them to the biggest sound systems in different areas. Needless to say that the crowd immediatly started raving about this wonderful music, so the next step was to go and press the proper records. Most of these singles were released on Rickard's RIO label, some of them on Chris Blackwell's infamous Island and Black Swan labels. Out of the long, hot summer of 1963 emerged these both musically and historically valuable recordings. Laurel Aitken and the Skatalites -musicians and performers who were and are to date the tops of their league - joined forces to secure his after hit. If you are talking about Ska music, then this is it. 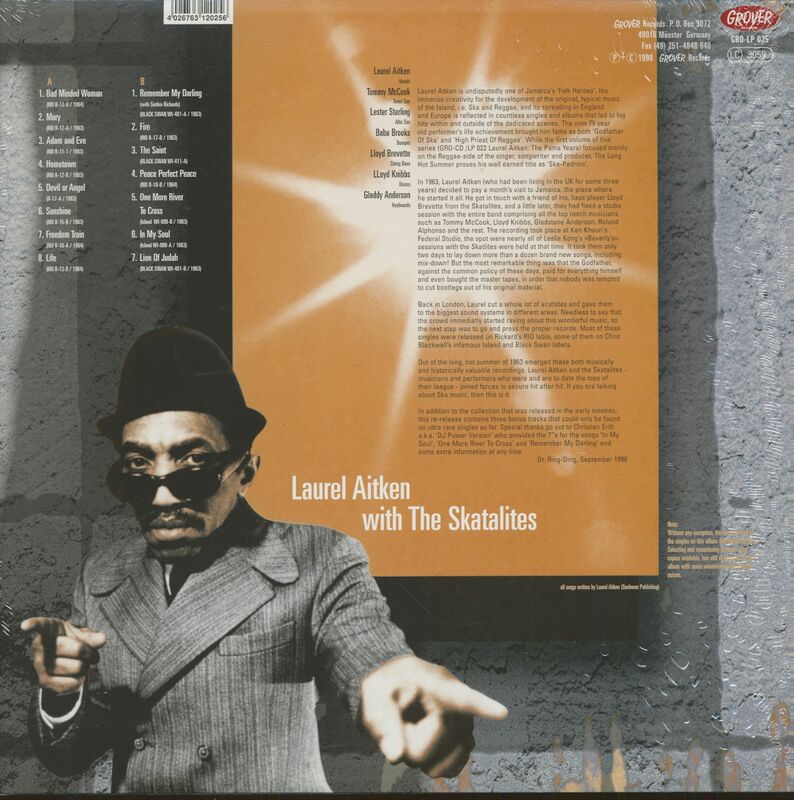 Laurel Aitken was born on April 22, 1927 in Cuba under the name Lorenzo Aitken. The British label boss Gaz Mayall gave him the title 'Godfather of Ska' in the mid-1980s - and rightly so, as he is commonly considered one of the founders of ska music in Jamaica. The Aitken family moved there, to West Kingston in 1938. There he came into contact with the then popular rhythm'n' blues from New Orleans via US F.M. radio stations. Favourites included Smiley Lewis, Louis Jordan and Amos Milburn. The combination of the cool sounds from New Orleans with Caribbean Calypso formed the basis for his particularly unique style, which later should conquer the world as Ska music. Initially, however, Aitken worked for the Jamaican Tourist Board and appeared as an entertainer in nightclubs. After first recordings, Chris Blackwell who was born in London in 1937, later founder of Island Records, produced Boogie in My Bones b/w Little Sheila, the first pop record from Jamaica that was also released in England. In 1960 Aitken moved to Brixton in London and recorded fifteen singles for the 'Blue Beat' label before returning to Jamaica in 1963. With the Skatallites as his backing band, he made further recordings there, before returning to Great Britain, where he was able to further consolidate his position as a leading Ska musician. Besides the Caribbean inhabitants of London he was especially popular amongst mods, skinheads and other Ska fans. From the late 1950s until the 1970s Aitken was able to achieve a multitude of hits internationally. In 1970 he settled down with his wife in Leicester, England, and performed less frequently. In 1980 Ska experienced a renaissance, and finally he entered the British single charts for the first time with Rudi Got Married. On 17 July 2005, Laurel Aitken died of a heart attack in his adopted hometown of Leicester. He is remembered as the artist who made Mento/Calypso, R&B, Ska, Rock Steady and Reggae his own thing. Customer evaluation for "The Long Hot Summer - 1963 Recordings (LP)"